Need to remove 2 separate objects object in the foreground. I have a set of clips in Adobe Premier for some drone footage I shot. One of the clips has 2 people that I want to remove. One is standing still the other walking. I can get one or the other to be remove, but not both. What do I need to do? Are both processing cogs turned on for the two people? At what point? I have one on when I track for one person, and the other on when I track the second person. They are both off when I track the background. Can I use one clean plate, or do I need seperate clean plate for each? You will need to feed the clean plate to both layers if you are using it on both. But it can be the same TIFF file? It appear that if I hold my tongue in the right spot, stand on one leg, and recite the right incantation I can get it to work. Is there a set of written instructions out there somewhere. I don’t want some stupid video. I want real step by step instructions. I can certainly tell you how to do it here. If you want to point me to any videos you’ve felt are stupid in the past, that will certainly help us improve them. Animate/track your foreground layers. It sounds like you’ve already done this part. Track the background layer. The background layer must be behind the foreground layers. 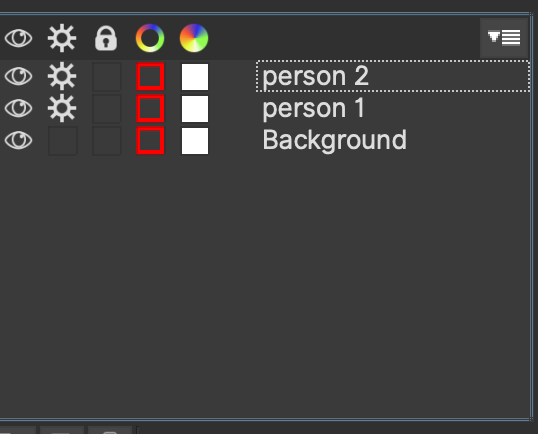 3… Generally, at this point we recommend rendering the frame first to see how much can be taken out automatically, but in this instance, it sounds like your people are not in a good position to be removed this way, so painting them out is the next option. Do whatever you need to do for that clean plate in your external image editor. Clean it up, paint out extra people, get rid of artefacts etc. Also clean up whatever you need to for any other layers, in this case, your second person. Select the second layer in the Remove module and choose the clean plate clip you created from the first layer in the clean plate clip drop down. You don’t need to import this, the clean plate clip is sitting in the list ready to be referenced. Do a test render. You may need to use illumination modelling if there is a light shift in the scene. Hopefully, this helps. If you want specifics, I’m happy to take a look at your actual shot. My appologizies, none of your videos are stupid. They are well made. And I do want to thank you for your help. At that point I had lost 2/3 of a day watching video over how to remove objects, all of which didn’t make it clear that when removing multiple objects, the solution was to have each cog set. Clearly I was a little on edge. My comments on how to improve the videos. Videos are a great supliments to instructions, but are not a replacement. Having a set of written steps to follow and apply to your own project is extremly useful. Written instruction move at the pace of the user, allowing them to process what needs to be done, do it and then move on. Video move at the pace of the instructor, it is almost always either too slow or too fast. My suggestion is to include a set of step by step instructions with each of the videos. That way after watching the video, you can follow the step and do the same with your own project. I like the idea of add supplemental instructions. We also try to do transcripts, which I know is not the same thing, but we can certainly try to add more detail to the descriptions in videos.